It is a gift to be able to look into the eyes of someone in pain and to share a moment of understanding. Sometimes, one of the most powerful things that we can say to someone else is I’ve been there as well. Once we have walked in another’s shoes then we have compassion for them. We know what that kind of pain feels like. We know the heartache. Therefore, we can use heartache, compassion, and love to pray for those who are hurting. I sincerely thank God for my years of pain. 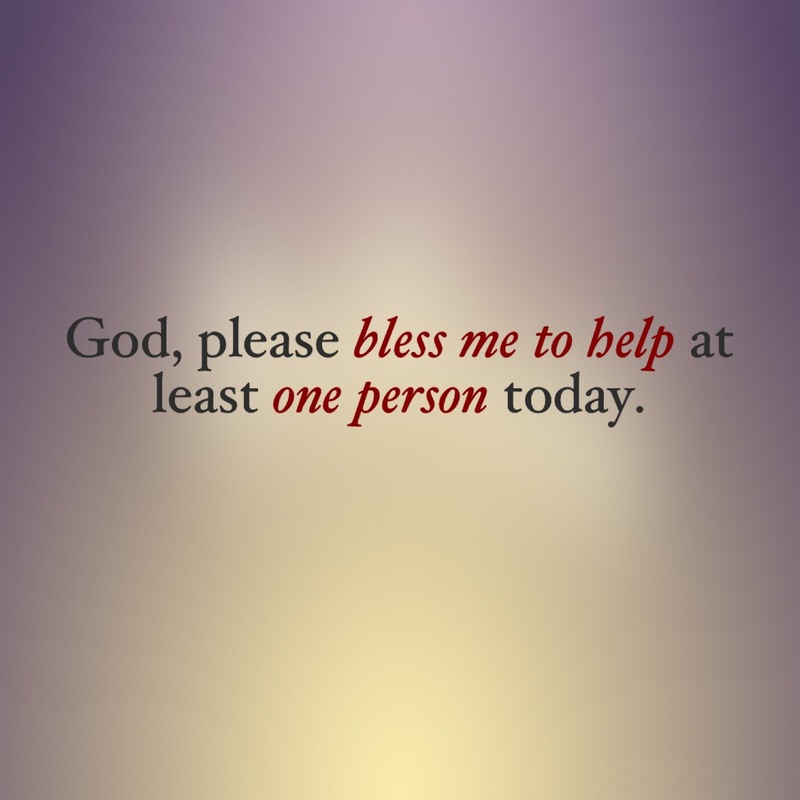 Every day I ask Him to bless me to help one person. Being able to help one of God’s children is such an honor. I love it when He gives me the opportunity. With each person that He blesses me to help, I ask Him for just one more. Then, all day long I look for the opportunities that He puts before me. It helps me to approach each person throughout my day as the one God selected for me to help. When I am helping someone else then I don’t think about my own problems as much. It helps me to direct my focus away from myself and on to God. or conversation that He blesses me to share with others all throughout my day. Today, I urge you to try it as well. It is such a blessing to be able to help someone else in any way. When we desire to serve God, then He will provide the opportunities. Serving others feeds my soul. It makes me feel as if my life matters and gives me purpose. One of the greatest things I have learned is that my life is not just about me.